Link to log in to your Online Record Book (ORB). Use your family email and password. If you don't know your password, one can be set. 4-H Record Books serve a variety of purposes in the California 4-H Youth Development Program. While society has changed, the goals of teaching record-keeping to youth remain the same. 4-H Record Books give members an opportunity to reflect on their yearly work. They document their skill development and their learning experiences in a written report. 4-H members measure their achievements and growth in their total years in 4-H.
4-H Record Books encourage members to set goals and develop plans to meet those goals. Completion of the Personal Development Report awards 4-H members for participation in 4-H activities, which provides an incentive for participation, learning, and achievement. Completing a 4-H Record Book is a process where 4-H members record project and club work. Records management (RM) is an industry-standard practice of identifying, creating, classifying, archiving and preserving records. 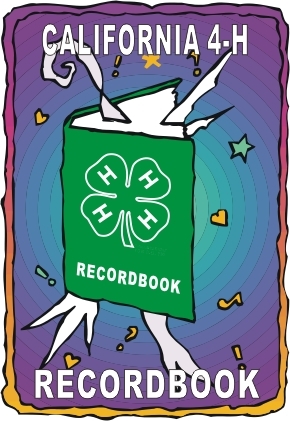 The 4-H Record Book teaches 4-H members these skills through a standard format. We now have forms for Primary Members to start learning the skill of Record Management. Note: Primary Members are not required to complete reports forms to receive their annual stripe and pin. You will see all forms and instructions for regular 4-H members and primary members. Stanislaus County Record Helper to know what goes where in the PRD. How to add an event!